Broadband speeds mean little when your router let you down. Over the last year, internet service providers have moved the goal post from delivering high speed broadband to your properties to delivering high speed internet to your devices. Whether it is a deliberate attempt to differentiate themselves from the competition or a move to increase the average revenue per user, making your home the new battleground for wireless connectivity has attracted a swath of newcomers. Plume is one of them - having just announced a partnership with TalkTalk - and they told us more about the company's plan to expand internationally, with the UK being its first port of call. Why are you partnering together with TalkTalk? 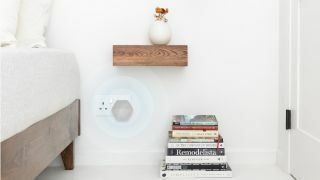 Plume has announced the launch of its smart home services bundle in the UK in partnership with TalkTalk. Available through an invitation-only offering, the partnership will deliver a new level of WiFi personalisation, connectivity and security in the home to TalkTalk subscribers. With Plume’s comprehensive membership and service bundle, selected TalkTalk customers will benefit from faster, safer and more reliable home WiFi. TalkTalk and Plume together will reach a wider audience and deliver new, high quality services for the connected home. This is the first of its kind consumer launch from Plume in the UK and will be available by invitation to TalkTalk customers. What’s included as part of the Plume membership? The Plume membership offered specifically for TalkTalk customers includes Adaptive WiFi, HomePass guest access, parental controls, and the Plume app for £9 per month. This monthly fee includes a two-SuperPod starter pack. Additional SuperPods are £69 each for expansion of the home WiFi coverage area. What are some of the challenges that consumers face in terms of WiFi connectivity in the home? With a rapidly increasing number of connected devices being used in the home, consumer demand for connectivity is higher than ever. However, getting WiFi to fill every inch of consumers’ homes with a strong and reliable signal across all devices, can often be a challenge. Plume is always learning about how consumers use WiFi in the home, so it can allocate more capacity to the devices that need it most and bring out the best in all digital experiences at home, in addition to accommodating the needs of individual users. How does this partnership enhance TalkTalk’s existing products and what are the benefits to subscribers? Plume works seamlessly with existing TalkTalk broadband services and adds a layer of connectivity and personalisation to the home. Its security features enhance TalkTalk’s existing range of internet security and filtering products. Plume’s self-optimising network can be set up in minutes via the Plume mobile app, using high-performance SuperPods - tri-band WiFi devices that plug directly into the wall. Plume enhances TalkTalk’s existing products by constantly analysing and adapting to each member’s unique environment, which enhances WiFi signal and streaming capabilities. Its adaptive WiFi fills every inch of the home with a strong, reliable signal, ensuring a consistent experience across every device. How are you providing/ensuring security from Plume through to TalkTalk’s network? Plume’s HomePass feature allows members to personalise guest access, create unique passwords, and control who gets on their network, for how long, and what they can do. Its advanced parental controls also offer further personalisation by enabling parents to precisely control when and what services their children have access to. The ability to freeze Internet, block access to adult sites, or set access schedules makes for ultimate peace of mind. Are similar telecom partnerships in the works for other regions? How many other partners does Plume work with currently? We’re unable to go into specific customers at this stage, however, what we can say is that Plume is witnessing great demand for its solutions, both in Europe and around the globe. A high volume of service providers now appreciate the benefits that a cloud-driven strategy brings in enabling the rapid deployment and scalability of services built on the home Wi-Fi infrastructure. This coupled with our rapid expansion plans means that we’ll be bringing you news of more launches very soon! What are your future plans for Plume? In addition to expanding into other markets we will continue to develop services for the rapidly evolving smart home which include greater levels of personalisation and security in the home. We’re working extremely hard to add further services to our portfolio to ensure that our partners can offer their subscribers the safest, most secure, most reliable and most comprehensive in-home Wi-Fi services package available.